Hotel meeting spaces in Johnston County, NC. 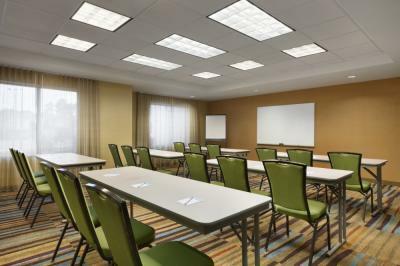 Several hotels in the county offer small meeting rooms for board meetings and other functions for groups of 10 to 90 people. Meetings held all under one roof is very convenient for small training meetings, corporate interviews, and regional meetings especially. Please check with our hotels listed here when you need to host something on-site with overnight accommodations. Meeting planners will find our rental rates and hotel room rates to be very competitive and offer you savings over meeting in the Triangle area. Meet outside the big city and save!